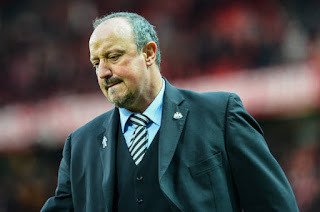 Newcastle United frustrations has been extended on Saturday night when they dropped down from a two-goal lead at Old Trafford as Manchester United stepped up their quality in the second half to win 3-2. That result might have given Jose Mourinho a lift, but it did nothing to help Newcastle’s situation at the wrong end of the Premier League table. They are already failing, winless after nine games this season, including the disappointing Carabao Cup exit at Nottingham Forest of the Championship. But having played four of the top six during that run, the next run of games represents a chance to give the season a much-needed lift. “Some of the players were doing well at the end of last season but they are not doing so well. We will need some time to make sure they go back to that level. In the meantime we have played four of the top six. So was anyone expecting that now we will be in the middle of the table? No. No-one. The fans, they know, they are not panicking.